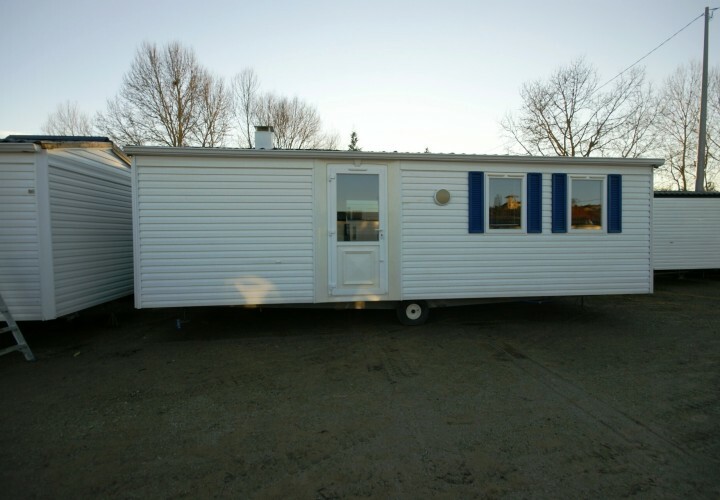 Mobile home Shelbox 8,00×3,00 with covered terrace. 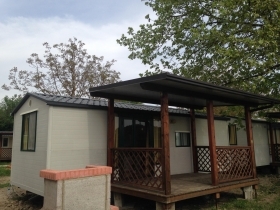 Directly connected pitch and ready for use, this mobile home is arranged in 2 rooms, wc with shower, large living room with sofa bed, full kitchen, heating. Price including VAT. 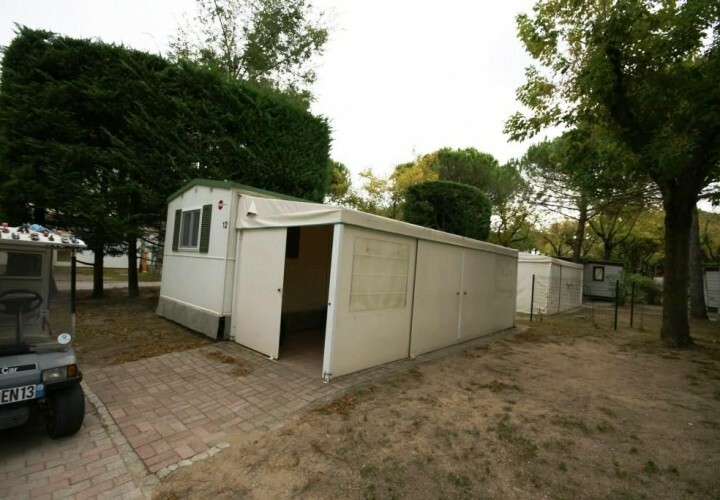 Campsite Cost € 3.500 including 4 people and utilities. 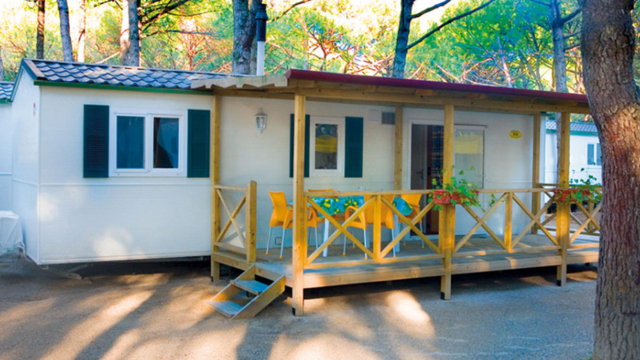 The campsite has a swimming pool, bar and restaurant, with entertainment and exclusive area for mobile homes.